Chronic and complex illnesses may represent the minority of the patients, seeking the attention in our healthcare today. However these illnesses consume the majority of the Healthcare expenditure, as they require a specialty care and their complications can be life threatening. While effective therapies are available, without careful monitoring their effectiveness as well as patient or physician adherence to these; devastating complications, loss of productivity and long lasting deformities can happen. Rheumatoid Arthritis (RA) is one of these chronic illnesses affecting 1. 3 million adults in U. S. population. It is characterized by an autoimmune (patient’s own immune system attacking and leading to an) inflammation in the lining of the joint capsule and the lining of tendons. RA can cause not only crippling chronic joint pain, but can lead to permanent joint damage, and loss of joint function. This illness is a major reason for loss of productivity as well as decreased quality of life in the affected patients. In most cases, the patient is totally dependent on the physician to control their disease activity and have very little participation, other then being compliant to take their medications and keep their appointments. This is what is expected of them and considered to be the standard of care today. When and if their access is somehow interrupted by another illness, or a loss of insurance or changing of their physician; the patient totally loose their ability to monitor the activity of their illness and get lost in the follow up. They can loose their job and insurance due to time loss from work and end up with deformities and complications, only fueling the fire in this vicious cycle. 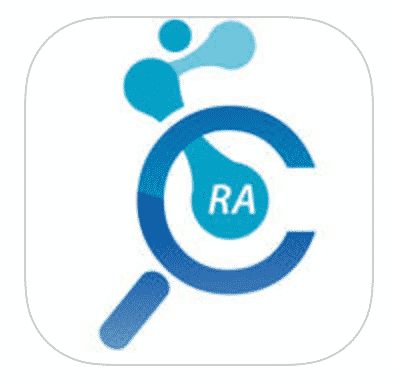 This is where the Cliexa-RA app can be very helpful to the patient to keep track of their illness, outside the physician clinics. A well proven and accepted Heath care tool, easy enough to be utilized by the patient, will increase their own awareness of the disease activity and seek prompt attention before serious complications develop. In addition, if their physicians obtain their objective and reliable data, before the clinical visit, they can arrange an earlier visit or change the medication comfortably. The patient utilizing this system will also have a chance to see the effects of the medications which will make them much more compliant with their therapy. So, we anticipate that this application will increase patient compliance and relieve their anxiety of the unknown, before each clinical visit, while allowing their physician to monitor their progress effectively. If this happens, we can hope that this will improve the overall well being and the outcome of the patients utilizing this application.